A new novel by Julian Barnes is exciting. Readers crave his novels, his stories, letting them become voyeurs of other human beings’ intimate life and relationships, giving renewed wisdom, understanding, and curiosity. So it is with his new book The Only Story. 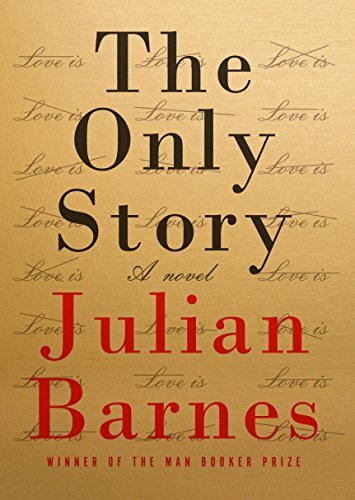 Onward from his Man Booker-winning novel, The Sense of an Ending, his last work, the masterful The Noise of Time, a semi-biographical novel about the life of the Russian composer, Shostakovich, Julian Barnes succeeds again with this tale. He dives deep into the great paradoxes and mysteries of life and love, and in so doing questions their very essence. Besides that, he is the maestro of the most profound and revealing prose. “You’re a case, Paul”, said Susan “and that’s why I’m going to have to call you Casey!” From there unrolls the story of how Paul gets his “reputation”—a badge imprinted with the image of a complex love story, one that will shape the rest of his life. The story is divided into three parts, the first and second told by Paul. But the third, part three, elegantly changes into the third person. Paul is now viewing his life objectively, putting his emotions aside. The first part takes place 50 years ago, about 10 miles south of London. Paul, a young, still almost pure, 19-year-old boy is back in his parents’ home for a three months’ long vacation from the university, having a hard time getting along financially, and ends up accepting his mother’s offer to join the local tennis club. Doubtless her motivation was a wish that he would meet a nice, young blond, and one day marry her and settle down in the same area with 2.4 children. Paul’s partner at the tennis court is not a young, innocent blond, but Susan Macleod, a woman 29 years older than he, pretty, witty and with a sharp tongue. She is married to a much older man—a real grump—with whom she has two daughters the same age as Paul. That meeting becomes the turning point in his life. Paul still hasn’t experienced his “teenage revolt” against his quite well-off, “normal” i.e boring, parents. He, too, is rather boring and clearly has a need somewhere inside him to start building a “reputation”—maybe more for the show of it than for the good of getting on the road through life. With a relationship so outlandish, painful criticism from his parents, the anger of Susan’s husband and his university mates saying “wow,” he has set the perfect scene. His lack of life experience blurs for him the fact that he is becoming a victim in his own story. Susan, who in fact is a bigger “case” than Paul, obviously needs a commander in her life, so she can continue being irresponsible and persist in her revolt against her husband and suburban conventions. Without the superior control of her husband—a role that Paul certainly cannot play—she simply can’t deal with life. Eventually her abuse of alcohol gathers speed. The story then turns into a breathtaking tour-de-force about what matters most in life: love or the lack of love. Joan, Susan’s best friend, operates her life from a bottle of gin—her way of coping with her own sad love story. She says to Paul: “Nothing ever ends, not if it’s gone that deep. You’ll always be walking wounded.” Maybe it is so. In that case must we accept that we never recover from a brokenhearted or a porrly ended love story. Is love such a complicated act in life? Does your mind resonate positive or negative, ring true or false, when you think of love in your own life? Is it of import if “love is sad but beautiful or life is beautiful but sad”? Does anyone ever break the code of love?